We were walking to class and I looked up. And there, in front of me, was a tree. Now, I go to school at a campus covered with trees. But this was not like all the others. * It’s bark was a stark, bright grey, and instead of leaves it was covered in delicate periwinkle blossoms. 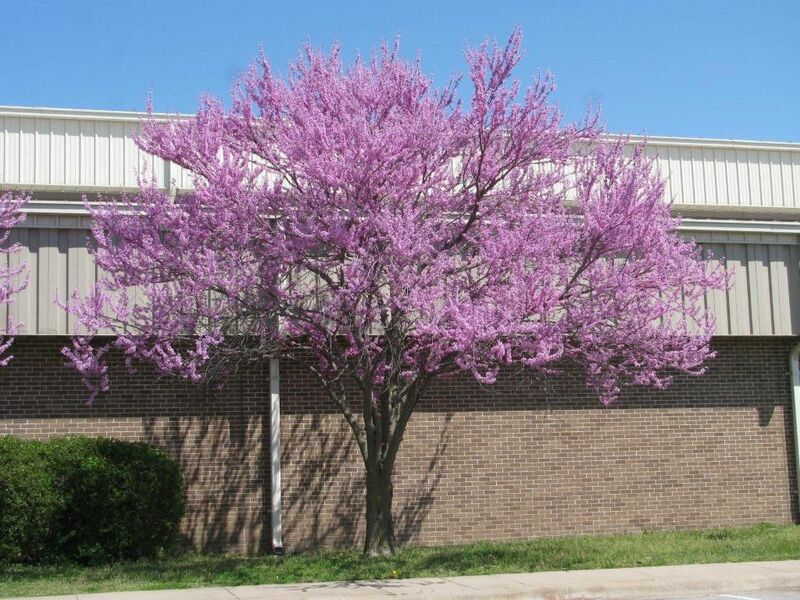 “What a defiant purple tree.” I commented, not realizing my classmate might require explanation. “Oh, uhm, yes, of course.” Richard may not have gotten it, but he’s used to my musings, and appreciates me still. I saw God in that tree. Some people think I’m absurd for considering that God may be in all things, just waiting to be seen. And of course they are correct. For God does not just laze about like cat in a warm spot of sunshine radiating through a window, to be noticed at our will. Rather he is much more involved, surrounding us and calling, calling, calling to our hearts. because it is for Freedom that Christ set us free. *Not that I appreciate the green, brown, or bare trees any less. He is there, too. I think we must love all the trees. Have you ever heard Eve Ensler talk about Loving Your Tree?